*Includes the 50 seats on the balcony. The Milos Conference Center – George Eliopoulos has two groups of facilities for conference purposes: a central building A, the main hall of which is of up to 400 conferees capacity (see seating arrangement table) and an adjacent multipurpose building B, the “EURIPIDES MAVROMMATIS WING”, where three halls ( B1, B2, B3 ) are found. The Center’s supporting facilities, are also locates there. The main hall of building A, where a theatrical stage is located, can be divided, with a movable partition, into two separate and acoustically isolated halls, one (A1) for 280 conferees and another (A2) for 100 conferees, so as to meet different conference requirements, by offering the choice between one large conference hall or two smaller ones. The Center’s main hall (A) has a balcony, with a capacity of 50 persons; the central control panel of the audiovisual systems and two cabins for simultaneous translation are located in this balcony as well. If more than two, and up to five, conference meetings are to be held simultaneously, the three halls of the “EURIPIDES MAVROMMATIS WING” can be used. 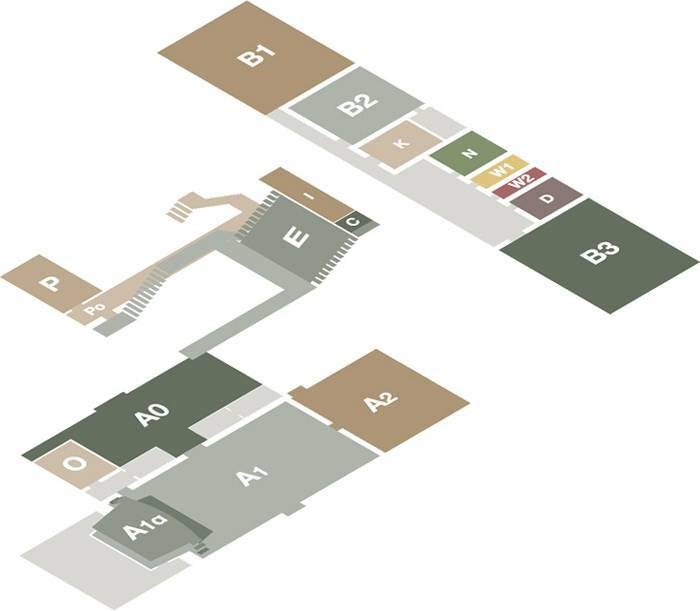 The capacity of these halls is shown in the sitting setup table, under B1, B2, and B3. Open-air activities can be organized as well, in a very pleasant outdoor setting. The Center hosts also cultural events, in which cases the main building may reach a capacity of up to 450 persons.